Elections are run twice a year. When signups are active an email will be sent through troopnews. Interested in helping out? Signup to help run the troop! Please signup and help us be the best Boy Lead, Boy Run Troop in the area. Sign up here. We hold weekly meetings on Tuesday evenings from 7:00 pm to 8:30 pm in the St. Catherine’s gymnasium. If you ever want to unsubscribe visit the subscription page here. Be sure to follow the instructions in the email that is sent from troopnews to confirm that you received the email and complete the registration. When adding your account to Troopnews, please do not select the “Digest” options as that will delay emails from being delivered immediately. In addition please enter an appropriate name into the account. Troop 511 is located in Wake Forest, NC. Our chartering organization is St. Catherine of Siena Catholic Church, Wake Forest, NC. The troop was founded in 2003 and has been a real success due to fine leadership and parental involvement. 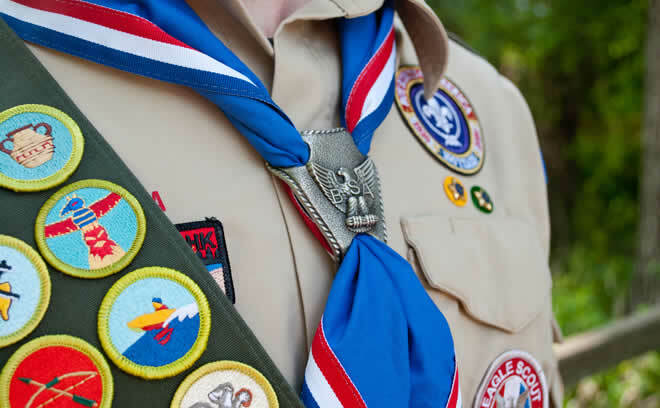 Today we have about 55 scouts, 15 adult leaders and 24 Eagle Scouts. We meet on a weekly basis with the exception of holiday breaks. Meetings are held on Tuesday from 7:00 – 8:30 and PLC meetings from 6:00 – 7:00 on the first Tuesday of every month.